Consider for a moment the businesses you frequent as a buyer — the go-to restaurant where you always order the same meal and where the bartender knows how you take your drink, the café with that perfect table in the back, the accountant who checks in with you during the times they know you are in planning mode or completely overwhelmed, or the products you always buy from Amazon because it’s just so easy to reorder and you get free shipping. The similarities in each of these purchase decisions are that they are centered on creating an experience for the customer that is comfortable, high-quality, consistent and personalized. The customer knows what to expect. How can you deliver an experience like this for your own prospects and clients? The tactics will vary for each type of business, but the strategy is simple: develop a system of making it easy for the prospect to find and remember you, make the path to purchase as simple as possible and maintain a database of information that can be used to re-engage with the customer over time as well as find others similar to them with whom you can connect. 1. Make it easy for the prospect to find and remember you. If you have a physical location that you’d like to lead prospective customers to, start by visiting your location with the eyes of a prospect. Is your sign visible from the street? Is parking available nearby? Are you in a high-traffic location? Ensure that your space is welcoming for new clients. Regardless of whether customers will visit your business in person or not, your digital footprint must be up to date. Do a Google search for your company online and review the listings. Is the information accurate? Are you posting regularly to the channels where your ideal buyers spend their time? Are you publishing new content on your own website and blog as well as contributing articles to publications, guest blogging, maintaining profiles on industry organization pages and publishing videos? 2. Develop a simple path to purchase. Visit your website with the eyes of a prospect coming in for the first time — is it easy to understand what you offer and why they should choose to buy from you rather than the competition? Do you have an easy path to lead them from one step to the next? Do you offer ways for people to connect with your business when your team isn’t available? 3. Build your database of customer information. If your customer “database” consists of any combination of the following, it’s time to consider moving to an integrated platform: Excel spreadsheets of contact information, email marketing lists that don’t integrate with your customer relationship management tool, a CRM software that isn’t updated consistently with new customer and prospect information, individual contact lists stored in employees’ email or LinkedIn accounts, etc. By collecting and storing information in a central, consistently updated and managed database, you’ll be able to analyze buying patterns to increase sales and reduce costs, engage with those customers to improve relationships and stay top-of-mind and discover traits and similarities to help lead you to new customers just like them. 4. Re-engage with past customers. Integrate your database with your email marketing platform or use an all-in-one solution to connect with them. You’ll be able to share blogs and articles that you know they’d be interested in. You can remind them when products or services they’ve purchased in the past are available or are going on sale. The data you collect today can be used to re-engage with customers for years to come. 5. Discover similar audiences with whom to connect. The next step to find new prospects who share similar traits with your ideal buyers. Google, Facebook and other digital advertising platforms offer opportunities to discover new prospects who share similar traits and profiles with your current customers or ideal candidates. Creating multiple paths online, in direct channels and at your physical location, will provide you more visibility with new prospects, top-of-mind awareness with those who have previously engaged with you and an easy way for existing customers to continue turning to you in the future. 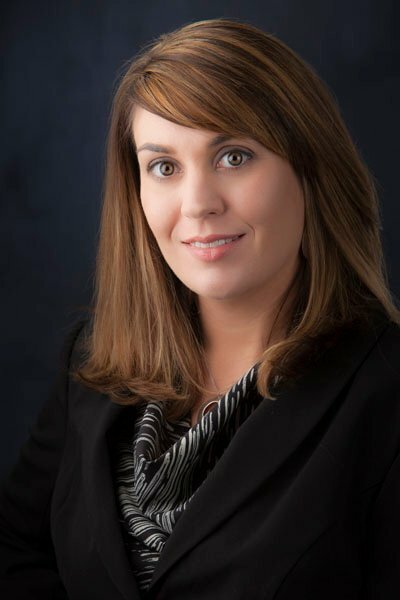 Melissa Albano-Davis, principal of Grapevine Marketing, Manchester, can be reached at 603-685-4782, ext. 101, or by e-mail at melissa@grapevinemktg.com.